That's right those are clean folded clothes running over. 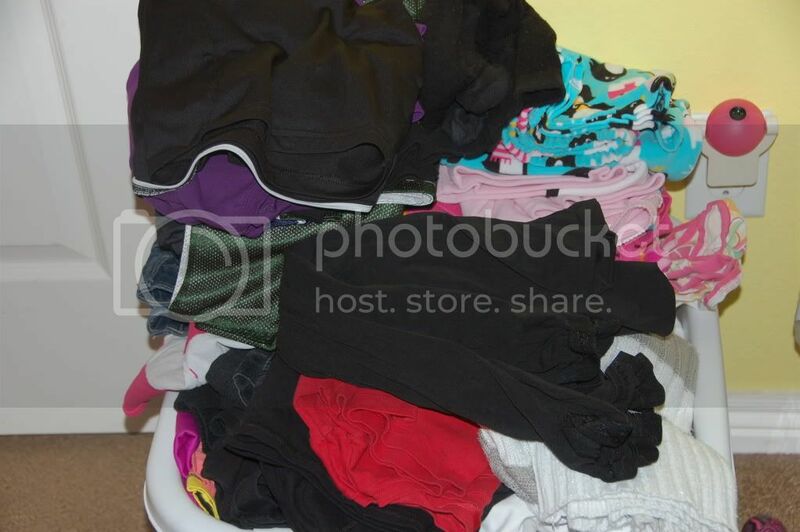 And this is not the normal it was usually a basket full of clean, unfolded, wrinkled clothes. I was seriously sick of seeing this. But I made a goal this past week that I would wash, dry, fold, put away. And I did it. Well with help from my littles. And I feel so much happier because now all the baskets are empty in the laundry room waiting for this week to be filled with fresh clean laundry. We actually stuck to our menu plan which for us it an amazing feat. This also helped us stay on budget. A goal I didn't even set for last week. This week I am tackling the fridge and pantry. I will be inventorying and throwing away. I am too embarrassed to post before pictures but I promise to show some after pictures on Friday for Photo Story Friday. Please hold me too it!